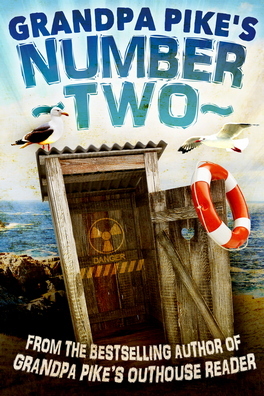 Humorous, inspiring, and sometimes thought-provoking stories The subject of outhouses must be handled delicately. So we will tiptoe around it, moving from foot to foot, like you would—and you do—when you need to “go” and there is no suitable facility nearby. A novel is too long for one sitting. However, a book like this contains short reads, and you can simply fold down the corner of the page when you are done. Upon your next visit, you might choose a story at random, the length of which you’ll determine by estimating the time required to complete the job. You’ll figure it out, and we hope some of these pieces will take your mind off the more mundane tasks of the day. 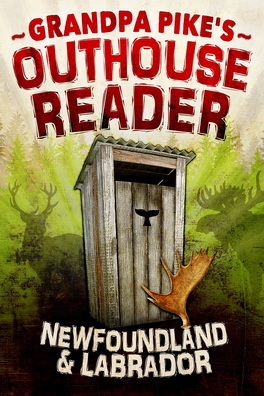 Grandpa Pike’s Outhouse Reader is not about outhouses, though. 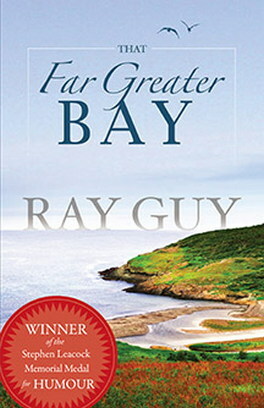 It’s about history, rural living, family, religion, places that are gone, ordinary people who have done extraordinary things . . . and much more! Laugh, cry, or groan . 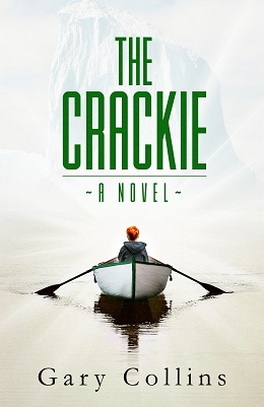 . . these stories are guaranteed to move you! How I Became Grandpa Pike I haven’t always been known as Grandpa, as you might presume. Growing up, I was called variously Larry, Lawrence, Stone Face, Fishy, Fish Face, and other things unfit for your tender ears. Larry by an old neighbour of mine, Lawrence by people who thought that Laurie was just a diminutive, Stone Face because I didn’t smile much, and different versions of Fish because my last name was Pike. As an adult, I had a friend whose last name was Sturgeon. He was a banker. I had a general store. Had we gone into the seafood business together, however, “Sturgeon & Pike, Fishmongers,” I thought, would have looked good on our sign, but I digress. I grew up in the Maritimes with my immediate family. 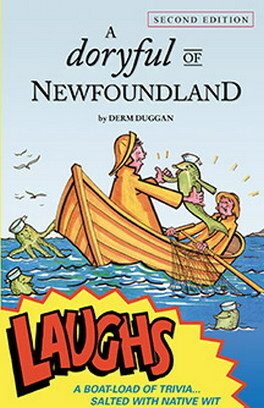 All our relatives on both sides of the family lived in Newfoundland. I was used to kids talking about their grandparents and visiting them, but by the time I got back to Newfoundland in my twenties, my grandparents had all passed. So I never knew either of my own grandfathers. I’ve yet to become a grandfather myself, therefore my knowledge of that state is very limited. Despite that I am known in some circles as Grandpa. Here is why and how I became Grandpa Pike. My mother’s people all went grey early. She went grey young as well, long before I was born. I have never even seen a picture of her with her long blonde hair. I started going grey in my twenties, and by the time I had a child, at age thirty-eight, I was almost totally there. On top of that, as an adult I have always worn a beard. I had the look, if not the creds. I was in my company’s booth working a trade show in Moncton when my wife and four-year-old daughter decided to stop in for a visit. When Laurie Shannon rounded a corner and saw me, she made a beeline and jumped right up into my arms. My co-workers turned around, and one of them asked: “Is that your granddaughter?” Someone else who knew the relationship said, “Yes, that’s Grandpa—Grandpa Pike!” Everyone laughed. For the rest of the show it was, “Grandpa, what do you think of this?” and “Anybody seen Grandpa Pike?” Soon all my friends and coworkers were calling me Grandpa, or Grandpa Pike. A couple years later, I bought a building supply store in rural Albert County, New Brunswick, developed a trade style and logo, and rebranded it Grandpa Pike’s. The logo is an old man in silhouette with a walking stick, a pipe, and a cowboy hat. Since that time I have recorded two CDs, in partnership with a Newfoundland charity, as Grandpa Pike, and in anything I write I use it as my nom de plume. Grandpa’s getting old. The odds are that I will never be a real grandfather and have a grandchild whom I can spoil and to whom I can teach bad habits. Perhaps I should take comfort in the fact that a good few people call me Grandpa, and not Fish Face.